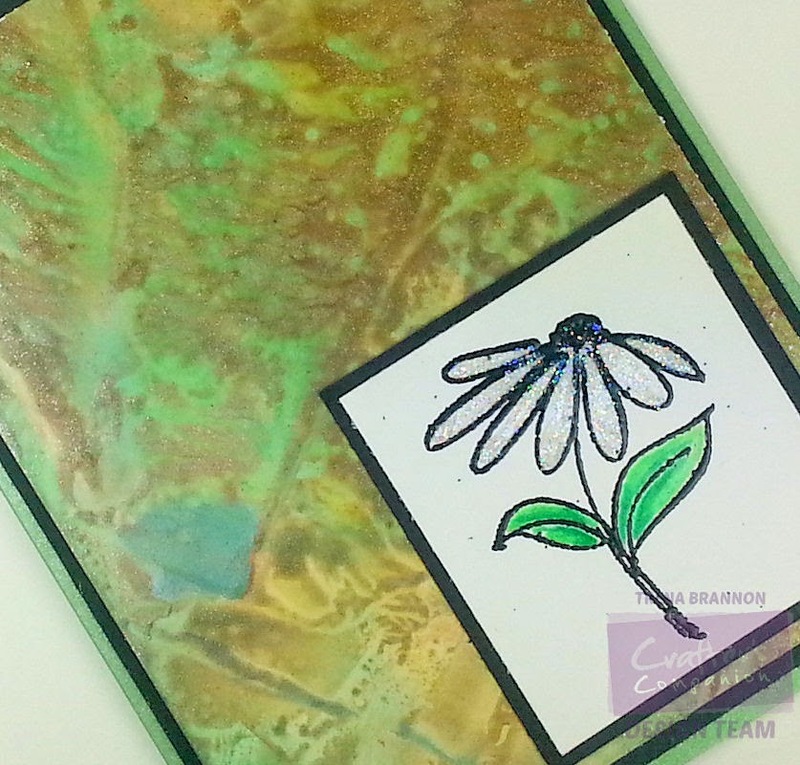 Sharing a couple designs I did over at my Stampin' Headquarters. Please click on the photo to see the details of how I made them. The first one is from Sheena's new release and the second one is from her Oriental release which came out couple months ago. Please click on the photo to see the details of how I made it. We also have a giveaway going on at Crafter's Companion! This week I will be sharing a card featuring Michael Strong's images each day. For this underwater scene, I chose Michael Strong's mini fish - such a cute image! Ink up image with StazOn and stamp. Repeat for two more images. Use the stylish with the hot brush tip and clear wax to reheat the wax inside each fish. Wipe away color with a tissue or paper towel. Use pencils to add color to each fish. Here's another scene where I combined my joy of using Stampscapes images with my new favorite technique of Encaustic Painting. For mountains I used another cool technique I learned from Micheal's Learning Skills DVD. There are so many! I also found another great teacher of this technique, John. Click here to see one his videos. Use iron, waxes, and crayons to create remaining background, spring hills, foliage and sky. I colored various waxes directly on paper then melted and little clear wax on my iron and spread over the sky to give more of a subtle look. Click here for tips, and a link to a teaching video, I learned when working with the iron. Before inking up the buck image, I masked the lower portion. I wanted to make it look like he was standing in grass. Ink up image, remove mask and stamp. Allow it to dry. Assemble layers. Remember to sign your art work! This time, no stamping. :o) It's all iron and wax. I have taken over part of the counter space in my kitchen. I'm so fortunate to have a supportive husband - who is actually the chef at our house, and working around my wax set up. Click here to see a video on Encaustic painting a landscape scene. For last month's StampscapesII Yahoo Group swap, we made spring scenes. For this scene, I combined my joy of using Stampscapes images with my new favorite technique of Encaustic Painting. 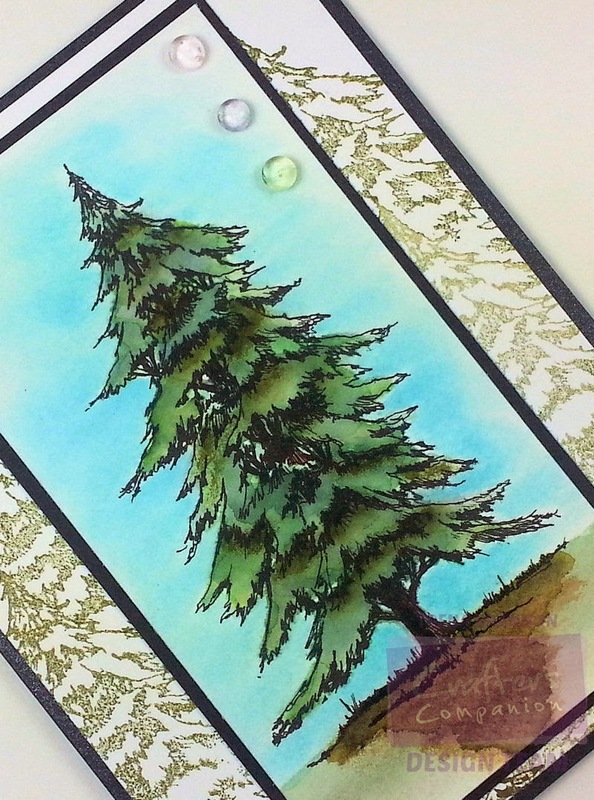 Use iron and waxes to create background, spring hills, foliage and sky. Click here for tips, and a link to a teaching video, I learned when working with the iron. Ink up images and stamp. Allow them to dry. Move slowly over the card stock. The DVD is very helpful. I watched Barb and took notes. The DVD gives a bunch of additional techniques AND Michael is so encouraging. He made me feel like I could get the hang of it! You can stamp before or after you use the waxes. If you stamp before, use a dye ink. If you stamp after, use a solvent ink. I found this out when I smudged my images. The good thing is, I could remove the entire image with a little cleaner (I used Stampin' Up!) and a paper towel. I squirted the cleaner on a paper towel and gently rubbed it off.